Don't let the similar records fool you. 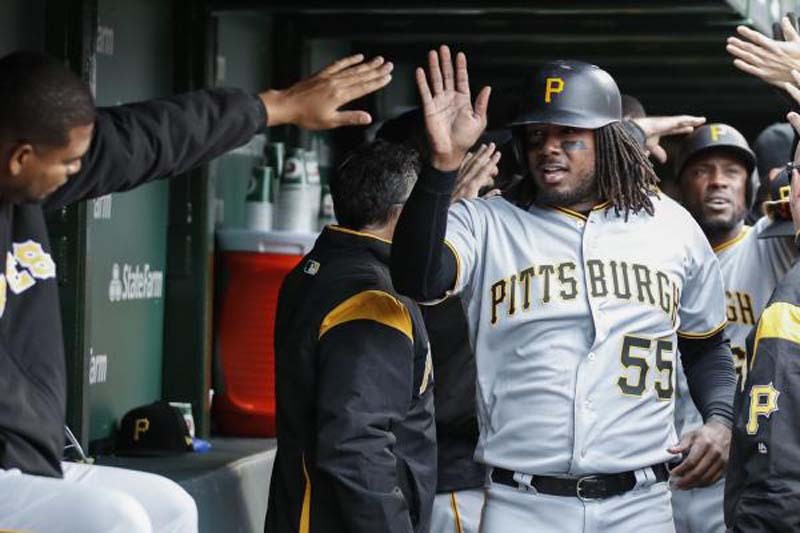 The Los Angeles Dodgers and Pittsburgh Pirates, who open a three-game series Tuesday at PNC Park, have been heading in opposite directions. The Dodgers (29-30) are 12-4 since slogging through a six-game losing streak in mid-May, including a three-game sweep of the Rockies in Colorado during the weekend. The series culminated in a 10-7 win in the finale after trailing 6-1. The Pirates (30-29) have lost 12 of their past 16, went 3-7 on a recent stretch against National League Central contenders and just dropped three of four in St. Louis during the weekend, including two Cardinals comeback walk-off wins and a shutout win in which Michael Wacha nearly threw a no-hitter. Pittsburgh manager Clint Hurdle turned philosophical. "Winning is always better than losing. Getting any hits is better than getting no hits. Always," he said after Sunday's 5-0 throttling. Dodgers manager Dave Roberts pointed at something more concrete -- the performance of his bullpen with injuries among his starters. Clayton Kershaw, Rich Hill, Hyun-Jin Rye and Kenta Maeda are on the disabled list. Relievers picked up all three wins against the Rockies. "They were the star of the series," Roberts said. "It's a sign of the way our roster is constructed. Score late, get to the starter, get into the 'pen and score runs late. That's indicative of what we did last year (en route to the NL pennant). Shorten the game." The starting matchup in the series opener, which is the first meeting between the clubs this season, features Los Angeles right-hander Ross Stripling (3-1, 1.68 ERA) against Pittsburgh right-hander Joe Musgrove (2-0, 0.64). Stripling is one of the Los Angeles pitchers pressed into starting duty who is healthy and thriving. In his last outing, on Wednesday against Philadelphia, he gave up one run and four hits and struck out nine in seven innings of an 8-2 win. In his career against the Pirates, Stripling is 0-1 in three games (one start) with a 4.91 ERA and a 1.09 WHIP. Musgrove has been dominant in two starts since coming off the disabled list, where he spent the first several weeks of the season. He has lasted seven innings each outing, has as many strikeouts (12) as hits and has allowed one run. "I'm just trying to go out and be productive every fifth day and try to get through seven innings," Musgrove said. "It does feel good to come out like this, especially after missing the first two months." That would be a humble take, according to a couple of his teammates. "He's a tough guy," catcher Francisco Cervelli said. "When he's on the mound, he's mean. He's the kind of guy that you want to have on the mound all the time." And outfielder Corey Dickerson: "His demeanor on the mound is unbelievable. He has great stuff to go along with it, and he has the confidence. We feel that, and we play behind it with confidence. We're having fun playing behind him." Musgrove has never faced the Dodgers in the regular season but was 1-0 with a 6.75 ERA in four relief appearances in the 2017 World Series while he was with Houston.